The theme of the night WAs Crossing Off My Bucket List. Hold the phone: it's our end of summer EXTRAVAGANZA! We're closing out this hot hot summer with our biggest and best show yet, full of powerhouse performers ready to bare their souls for you. Off the prompt "crossing off my bucket list", we’re inviting our all-star line-up to share with us their unique accomplishments and achievements, big and small. Laugh, cry, swoon and get inspired by the wise and wisdom of ladies of all ages. Team 20: Mattie Kahn is a Senior Editor at Glamour. She covers politics, style, culture, and dangerous women. Team 30: Prachi Gupta is a senior reporter at Jezebel and a co-host of Jezebel's former politics podcast, Big Time Dicks. She covered the 2016 election for Cosmopolitan.com. Her writing has appeared at Salon, IndieWire, and elsewhere, and has been covered by outlets like Vox, the Columbia Journalism Review, and AdWeek. Team 40: Glynnis MacNicol is a writer and co-founder of TheLi.st. She is the author of No One Tells You This: A Memoir. Her work has appeared in print and online for publications including ELLE.com, where she was a contributing writer; The New York Times, The Guardian, Forbes, The Cut,and many more. Team 50: Helen Little is the nation's most listened to radio personality and can be heard on iHeartRadio’s 106.7 Lite-FM in NYC. She hosts The Public Library Podcast on iHeartRadio and iTunes. A speaker, success coach, and award-winning poet, Helen has written her first novel with hopes for finding a publisher soon. Team 60: Sandi Marx is a retired talent agent who is now a fixture on the New York storytelling scene. She is a seven-time Moth StorySLAM champion and she’s been featured on: nationally televised PBS’s "Stories For The Stage," on “Women of Letters,” and at the Women’s Comedy Festival in Boston. Team 70: Carol K. Brown is a sculptor/visual artist who has exhibited extensively both nationally and internationally in over 30 solo exhibitions. Her work has been shown at the Beijing Biennial; the National Museum for Women in the Arts; the Whitney Museum of American Art; and The Contemporary Arts Center, New Orleans. Generation Women is a cross-generational storytelling night in New York City. Each month, five women of note read an original piece on a theme. Of those women, one is in her 20s, her 30s, her 40s, her 50s, and her 60s+. Generation Women celebrates and amplifies women’s voices and creativity. Our diverse line-ups will make you laugh, cry, and think. 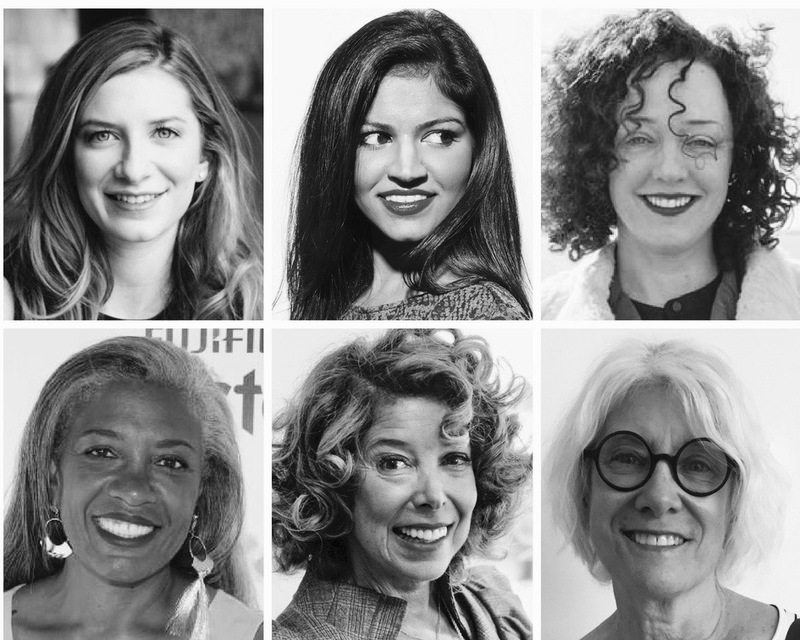 We’re a unique, intimate female literary salon that brings together women of all ages. Best of all, each ticket will include a signed copy of host/founder Georgia Clark's acclaimed new novel, The Bucket List! Join our mailing list and be the first to hear about ticket sales and events. No spam, ever. You're on the list! You'll be hearing from us soon.